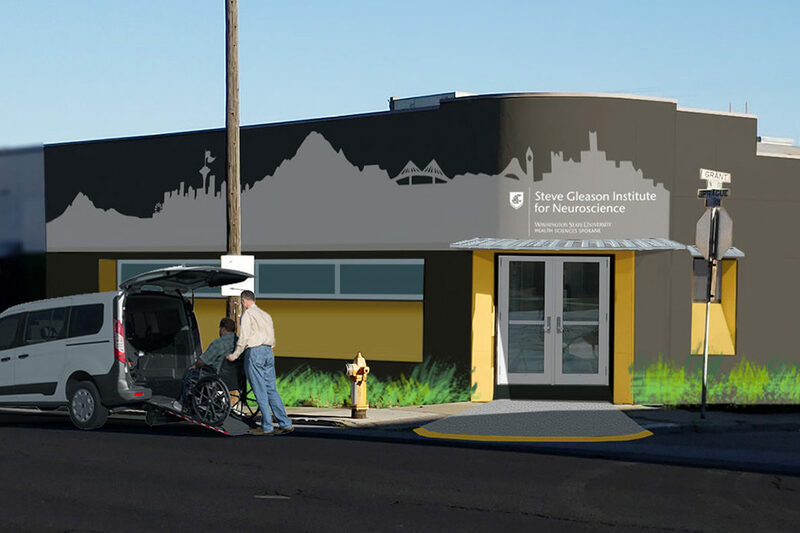 Washington State University Health Sciences Spokane will join nonprofit Team Gleason and community partners to target innovative care and cures for brain disease through the Steve Gleason Institute for Neuroscience. The Gleason Institute is expected to open in Spokane in the second half of 2019. Daryll DeWald, chancellor of WSU Health Sciences Spokane, announced the project on Tuesday. “The Gleason Institute will have WSU researchers working collaboratively with health care providers from St. Luke’s Rehabilitation Institute, Providence Health Care, MultiCare, and patients to bridge the gaps between care and potential treatments of neurodegenerative diseases,” he said. This class of diseases includes Amyotrophic Lateral Sclerosis (ALS), Parkinson’s and other diseases. Together, these conditions affect millions of Americans and account for billions of dollars in health care costs each year. Community partners include Avista, the Health Sciences & Services Authority of Spokane County (HSSA), Providence, St. Luke’s, MultiCare, the City of Spokane and the University District. Steve Gleason, a football star at WSU and in the NFL, was diagnosed with ALS in 2011. He founded the nonprofit Team Gleason and through his guidance, Team Gleason is the leader in developing and providing assistive equipment and technologies for people with ALS. The organization has partnered with leading tech giants, passed federal legislation, and opened a residence that is equipped with automation for up to 18 people living with the disease. Team Gleason continues to push the envelope on what is possible for people with ALS, neuromuscular injuries, and other degenerative conditions.